“The Hero’s Journal”, a concept developed by two recent NU Alumni, launched its Kickstarter campaign today. Photo courtesy of theherosjournal.co. Kyle Cole and Nick Vitellaro, two recent NU graduates, announced the launch of their project, “The Hero’s Journal,” today. 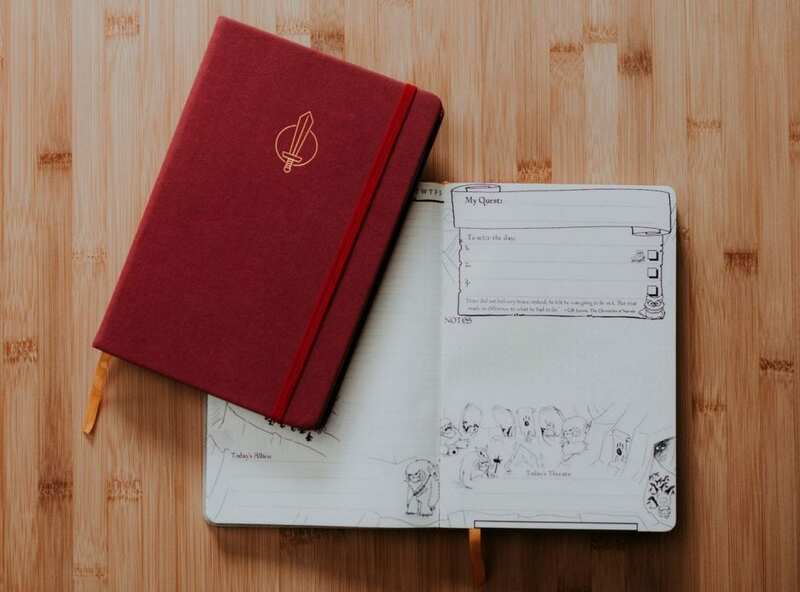 In creating “The Hero’s Journal,” they are hoping to offer a fun and inspiring journal to millennials. Co-creator Kyle Cole said that the project was inspired by personal experience. “The inspiration for “The Hero’s Journal” began when we realized that, through all of our efforts to be more productive, we lost the reason we were even trying to be productive in the first place,” Cole said in an email. Cole and Vitellaro wanted a journal that would inspire them through stories. Finding that nothing like that existed, they decided to create one. This idea brought about a partnership across states, with Cole living in Arizona and Vitellaro in Washington. Cole noted that the journal takes a somewhat unconventional approach to the task, bringing story into the demands of everyday life. 1) Back them on Kickstarter. Even just giving $1 to the campaign helps and means a lot. “64 percent of Kickstarter projects fail to get funding, often due to lack of awareness. Sharing the campaign on social media would tremendously increase our chances of being featured on the Kickstarter homepage, giving us increased visibility during our campaign,” Cole said. The two college friends have learned a lot from this project. “This project in a lot of ways has been our own hero’s journey, we have had moments of great inspiration and major setbacks. When you start a business with your best friend, new parts of their personality are exposed, both good and bad,” Cole said. “Luckily, we both have a good pulse on when the other person isn’t in a healthy place, and we don’t let each other work when that’s the case. Cole and Vitellaro have drawn inspiration from many, and hope that by sharing a project created from their own personal experience, they too can inspire others in their journey. To learn more about “The Hero’s Journal,” you can visit their website.